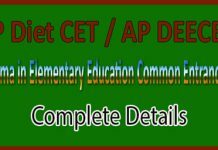 AP EAMCET 2018: Application Form, Eligibility Criteria, Pattern, Important Dates and More Details! Andhra Pradesh Engineering, Agriculture and Medical Common Entrance Test shortly called as AP EAMCET. This is a state level exam whose scores are accepted for admissions by Engineering, Architecture and Pharmacy Institutes in Andhra Pradesh. EAMCET Exam is divided into three disciplines: Engineering, Agriculture and Pharmacy. The various courses for which AP EAMCET scores are considered include B.Tech. (Biotechnology/ Dairy Technology/ Agricultural Engineering/ Food Science and Technology), B.Sc. (Agriculture/ Horticulture), B.V.Sc. & A.H/B.F.Sc, B. Pharmacy, Pharm. D. AP EAMCET 2018 official notification is expected to release by the 2nd week of February, 2018. 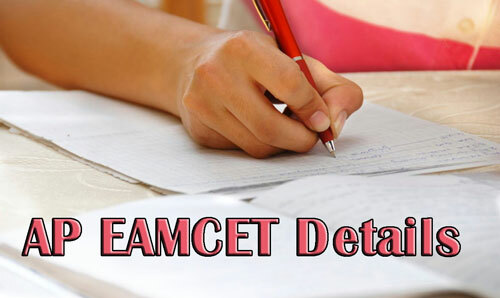 If you want any more details regarding EAMCET Exam Scroll down the page and get full info. At present, no official notification has been released corresponding to Andhra Pradesh EAMCET 2018 by the concerned authorities. Whenever officials release the AP EAMCET 2018 Notification we will update direct download link here. 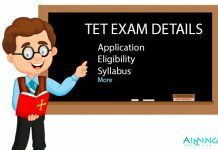 Those who are willing to apply for Andhra Pradesh EAMCET 2018 exam must be aware of eligibility criteria. Candidates who have either passed or are appearing for final year of the 10+2/Intermediate Examination with Maths, Physics and Chemistry or related courses in engineering and technology field are eligible for APEAMCET 2018. Candidate Passed or appearing in final year of Diploma in Engineering conducted by State Board of Technical Education and Training, AP/ Telangana or any equivalent. Candidates must have scored at least 45% aggregate marks (40% for SC/ST) in PCM. Candidate Passed or appearing in the final year Diploma examination (Pharmacy) by AP / TS Board of Technical Education and Training or any equivalent. Candidates are expected to have a minimum mark of 45% in the Qualifying exam. Reserved Category: Minimum is 40%. The age bar for appearing for AP EAMCET 2018 is 16-year as on 31st December of the year of admission. AP EAMCET 2018 Application portal is not available currently and is expected to open by 2nd week of February 2018. AP EAMCET Application Form 2018 shall only be available as an online procedure. Will soon here we update the Apply Online Link. AP EAMCET 2018 Exam dates are yet to be released by JNTU Kakinada on behalf of APSCHE. 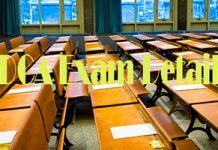 Andhra Pradesh EAMCET 2018 Exam date is likely to fall in the 4th week of April 2018. A total of 160 MCQs and 3 hours shall define AP EAMCET 2018. Slot 1: 10.00 A.M. to 1.00 P.M.
Slot 2: 2.30 P.M to 5.30 P.M.
AP EAMCET doesn’t have any negative markings and the student will get 1 mark for every correct answer. AP EAMCET Hall Ticket/ Admit Card will be available in the 3rd week of April 2018 till the APEAMCET 2018 exam date. The hall ticket shall be available in digital format only. Take a printout copy of admit card for reference purpose.